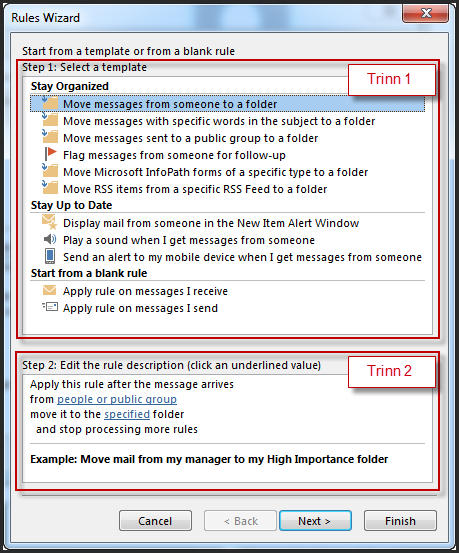 Outlook is capable of automatically sorting incoming email into folders using inbox rules. 2. 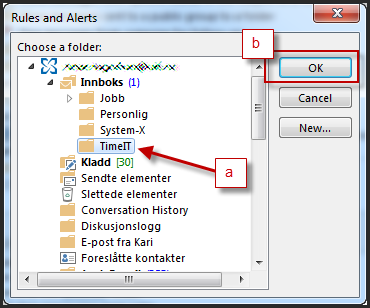 Select "Manage rules and alerts" / "behandle regler og varsler"
3. 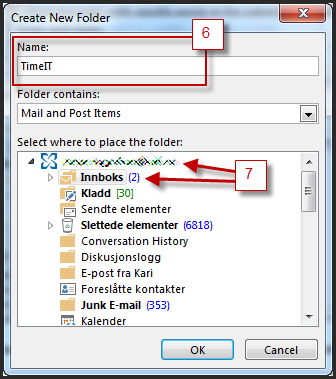 On the "E-mail rules" / "Regler for e-post" tab, select "New rule" / "Ny regel"
Next, create a rule for moving emails from a certain sender to a separate folder. This is a two-step process. "Step 1" details what to do, and "Step 2" adds the specific details of the rule. 1. 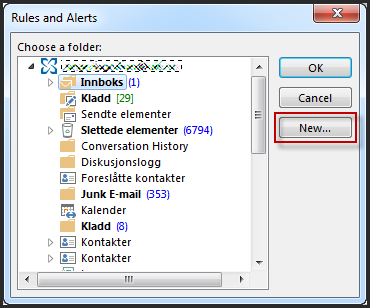 Select "Move messages from someone to a folder" / "Flytt meldinger fra noen til en mappe"
1. Click "People or public group" / "Mottakere eller fellesgrupper"
You may also search through your address books available through Outlook. Search for the name of the person(s) or group(s) whose mails you wish to sort. Please note that you can change which address book to browse. 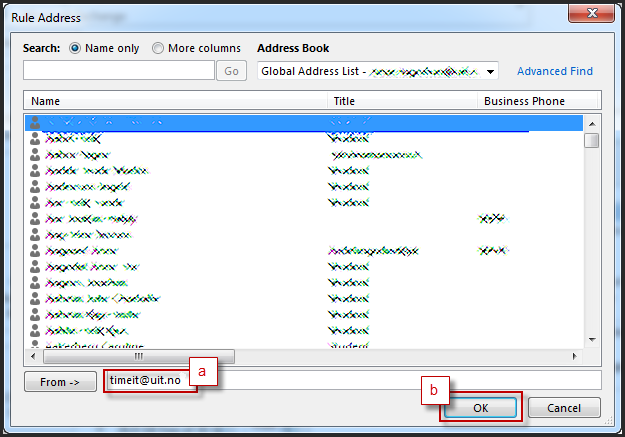 UiT's address book is called "Global Address List". 4. Click "specified" / "angitt". 5. Click "New" / "Ny". 6. Give the folder a "Name" / "Navn" (For example: "TimeIT"). 7. Select a location for your folder. You may place this at the top level by clicking your email address. Alternatively, you can store this folder under your inbox or another folder. After selecting a location, press "OK". 9. Click "Finish" / "Fullfør". 10. Click "Apply" / "Bruk".